Here at ARTFULLY AWARE AUCTION, we disclosed every smallest detail on the products you’ll choose. We isolate it into a separate frame for you to be able to zoom it in and out for closer inspection. Whether these clothes were kept in a hot Las Vegas garage or in a climate controlled closet, we want you to see every detail. Every patch and buttons is included. We even provide information on the material it is made up of. We would like to ensure that you know what you are up against when you buy our products. This is to prevent any misunderstanding from arising. The available color for each clothe is included in our description. You could easily click the color box you could find in each item to see how an article of clothing would look in that color. Please note that we strive to give you the most accurate detail on our every product. However, there are still unavoidable circumstances such as the lighting that could affect how the product looks like on-screen and up front. We apologies for this, and we encourage you to take note of this upon purchase. Brands often have their own standard size specifications. Different brands would have slightly different measurements. Check out the size guide for every page. We included there a conversion chart for every brand sizes. Still not too sure which size to get? You can also check out the clothing’s measurements for the different sizes or use the model’s body measurements as gauge to your own. For certain clothing/accessory items that typically come in One Size, we also do our best to provide full measurements housed under ‘Size Details’. Any questions? Let us help you. Email us today. Artfully Aware Auction is finally opening a branch in Albuquerque, NM! We are set to open this summer and we are looking forward to having you at our first customer. 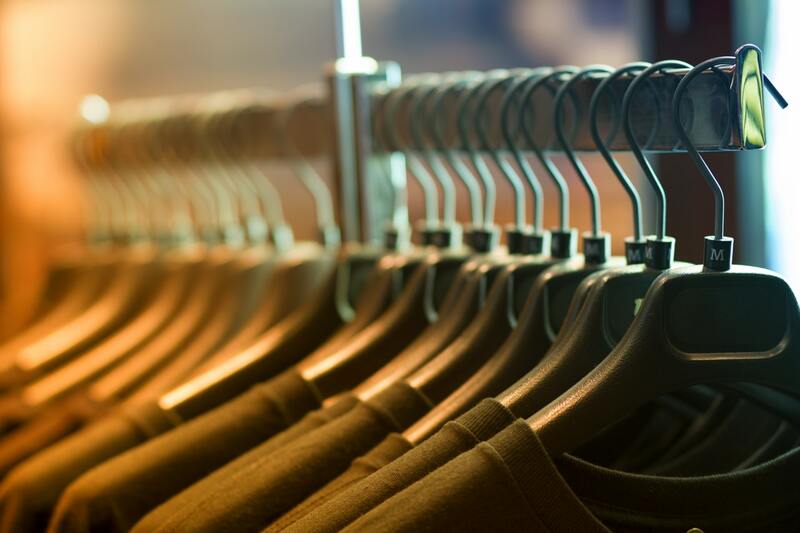 Get the best shopping experience in New Mexico as your shop for a new set of wardrobe for 2018. Now you don’t need to go far because we have every article of clothing you’d ever need. It is possible to just storm one store alone as you gear up to achieve that versatile or edgy look you are going for this new year. You can also reinvent yourself through the fashion-forward clothing you can buy at our stores. Not sure what to have? Our in-store shopping assistants can help you in your make-over journey. They’ll help you explore outside the box of your usual wear and leave our shop more confident in your new self. You can trust them to be your guide. With years of experience in the fashion industry, they have already proven their expertise in their craft. In fact, our shopping assistants here are in-demand especially among famous personalities as they rely on them in completing their wardrobes. They are very professional too, and at your beck and call for important fashion advice. What to Expect from Our New Mexico Branch? Aside from great customer service that Artfully Aware Auction is popular for, you can expect a much bigger store here. In fact, this is our biggest so far surpassing our main branch in Los Angeles. Our dressing rooms here are made even better with the application of new technology. The lighting is much brighter for you to see every corner of that dress you are checking out. The seats are equipped with high-quality memory foam that will make anyone instantly feel relaxed and comfortable. You can have your husband or boyfriend sit there and enjoy our free refreshments as you go about fitting our clothes. The vaulted, dome-like ceiling will give you the feeling that you are in a crystal palace. Everything on the inside is sparkly in the white and gold interior which is the emblem of Artfully Aware Auction. The inside is not the only thing amazing for this branch. The landscaping in where it is seated is also superb. It is located in the business center without being crowded by other nearby establishments. We also have a parking area for customers and a garage enclosed by a glass garage door. What is significant about this new place is that every detail was made with precision. Every lines and dots were made with meaning. Everything down to the garage door springs is of high-quality materials. You can check www.garagedoornation.com for this if you want to equip your homes with the same springs. One thing is for sure, we never scrimp on out Artfully Aware Auction Albuquerque, NM Branch. Check it out yourself. We are going to start our operation this summer. Watch out for our opening date that will be announced here at our site. See you there!